Popular actor turned politician Ravinda Yassas yesterday charged that there could be a political motive behind the sudden ban of the TV Drama ‘And Company’ which is being telecast over a private TV channel. He told Daily Mirror that he could not think of any other reason for the sudden banning of the drama. The popular actor is already in the political fray and is contesting the elections to the Western Provincial Council from the Kalutara District on the Sarath Fonseka-led Democratic Party ticket. He said TV programmes of other artistes, who are contesting the election, were allowed to be telecast while only his programme had been banned. When asked whether there was any legal reason to stop the indirect promotion of candidates at an election, he said all artistes should be equal before the law. Meanwhile, a teledrama featuring Jagath Benaragama, who is also contesting the elections to the WPC as Democratic Party candidate, had also been banned. Peoples Action for Free and Fair Election (PAFFREL) Executive Director Rohana Hettiarachchi who commented on the matter said the indirect promotion of candidates should be stopped but the law has to be applied to all candidates irrespective of the party they were representing. He said here was a case where the law had been applied in a lopsided manner to a handful of candidates. Mr. Hettiiarachchi said there were several other instances of indirect promotion of candidates by a private TV channel which was promoting three candidates from the two main parties. In some countries where controversial books have been banned, the demand for same usually expands exponentially due to curiosity. 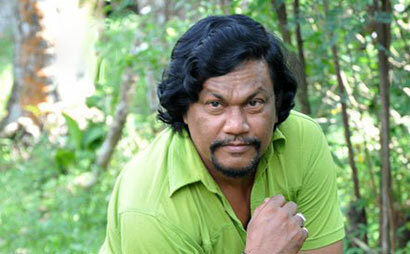 The soap operas shown on Sri Lankan television range from mediocre ones to quality productions. Both pro and anti anything should be equally treated for enabling the public to come to their own independent conclusions..